← An inept BOLIVIA GOVERNMENT fails to find solution to GAS DISPUTE, generating only violence! 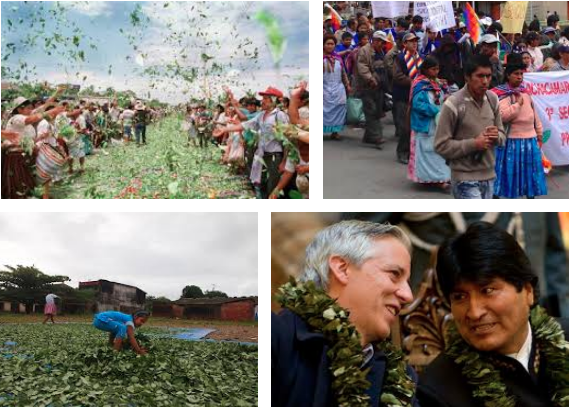 Bolivia’s politics reduced to despicable-dangerous coca growers’ wishes?! WTH!! I am flabbergasted by the news below … how is it possible that my beautiful country ended up with such monstrosity?! It is inconceivable to watch how our politics, our democracy have ended been taken hostage by the coca growers’ union?! a group whose only purpose is to profit from their dark end-product?! The coca growers of the Yungas are simply starting negotiating again with the coca growers of the Chapare … they are in the process of showing who have more political clout, more money, more force … and the rest of us??? We have to watch these guilds take decisions over our lives, our future … is there anything, anything that we can do to escape from this demagogue, this ochlocracy, this corrupt system?! Yes, we can still vote them NO at the polls. We can defend our democracy by demanding more transparency, we must alert the world that the MAS and its violent guilds, “social” sectors are nothing but a gang of thugs! We need to come up with a unique front, we must set aside our differences. That will be the only way to recuperate our democracy. We need not to disseminate our votes, evo also has total control of the electoral system and fraud can again be replicated to push him to continue as president. Once we recuperate our Republic and restores institutionality and prosecute those corrupt ones, we could again go to vote for as many candidates as we please. First restore our in three years and then call for a new election for the normal five-year period. We owe our grandchildren, our future, we must never relinquish, we must be firm and fight for our democratic freedoms! The above is the disappointed but still firm hopeful opinion of Bolivian Thoughts. The hasty launch of the presidential candidacy of Franklin Gutierrez, representing the coca growers of Yungas, has brought sparks in the MAS, not only because another coca grower dares to challenge Evo Morales, but because the division with that sector is consolidated, one that previously underpinned the so-called process of change. 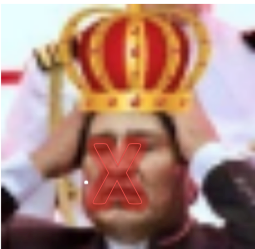 Beyond the feeling of suspicion of the moment, the certain thing is that it will be very difficult for Gutiérrez or for any other leader of social sector to become an option against Evo Morales, if he does not have the support of the middle class and of the groups that prop up the campaign against the re-election of Morales. But what is striking is that some masistas, very outraged they are, have asked Gutiérrez to resign from the leadership if he wants to do politics because they consider that the two activities are incompatible. That is cynicism taken to its maximum expression because Evo Morales, being the maximum leader of the Chapare coca growers, not only does politics, but is the president of all Bolivians. Will there be two more incompatible activities than those? This entry was posted in Bolivia, Crime and Violence, Drug war - narcotraffick, Politics, Social Unrest and tagged cocaine production, corruption in public office, democracy in peril, government failures. Bookmark the permalink.